Worked on drafting more pages of the magazine. Definitely going to miss the December 1st deadline for article designs. There are at least 3 articles that still need a complete design and I would say none are ready to be published. I also need to loop Laura Forsyth into the conversation as she will be assisting the publications staff on the issue design for Volume 4. It appears as though I have lost some of my most recent updates. I will attempt to track those down. Today I had a review of work with Joe. We considdered what I realistically could accomplish with the time I have left in the institute. This led us to the discussion of the Weather Balloon Project, and what we have accomplished and where we have failed. I had an important conversation with Remy being realistic about our progress, commitment and ideas on the weather balloon project. We agreed that we were both initially more interested in the process of VR creation over the product of the weather balloon launch. With that in mind, I suggested we change the focus of our research. Go to the board to pitch a new idea (focusing more on product design/patent making) and to desolve the weather balloon after our final writings and publications on that. I will develope idea further as time goes on. Started the year with a welcome to a New Year in Institute. As program director I see it as the right choice to establish some clarity about the institute as well as get to know new members. I think starting the year off right is an important step to getting the year started right and hopefully establishing a tradition that will continue in later years. 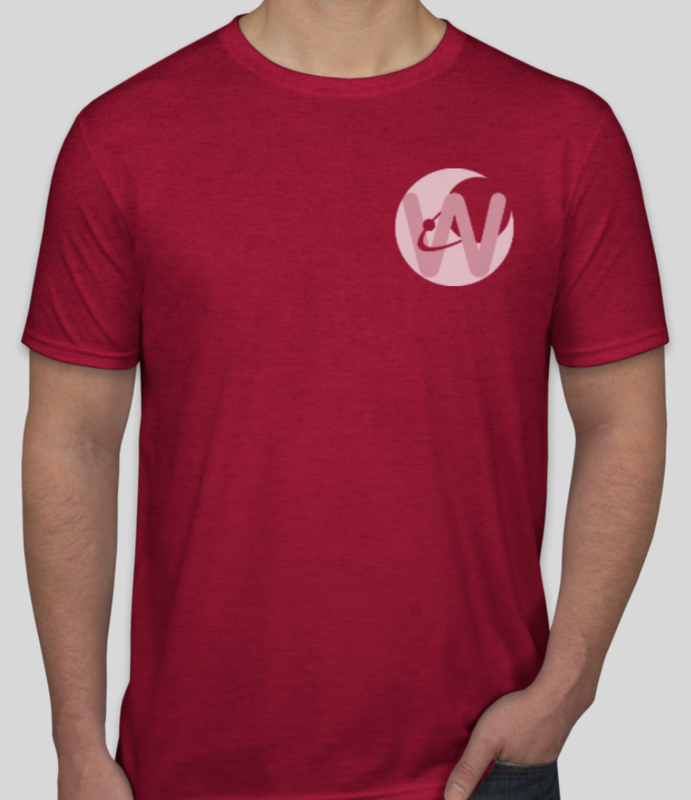 Its a new year and that means a new WISRD T-Shirt color. I chose between two (see below), “Antique Cherry Red” a deep red color I found interesting, and “Blackberry” a dark purple. Both fabrics are “heather” meaning they are a blend of polyester, cotton or some other materials that give it a nice variation of color, softer feeling, and more durable for the wash. When I brought these options to the board, we decided that Blackberry would be the color for the 2018-19 WISRD year. I wanted to avoid choosing a blue, gray, or otherwise “cooler” color for the shirt as that has been a trend for the Institute for a while. To make this process as easy as possible next year, I wanted to leave a few choices. CustomInk has great choices of colors, especially for the more comfortable fabric I’ve chosen for last and this year. We use “Gildan Softstyle Jersey T-shirt” and have stuck with heathers for the past few years. I will next draft some WISRD Board Hoodies and make a shirt ordering guideline for future years. I’ve started working on a new system for Inquirer Design organization. This process will be structured mainly based on the skills I learned over the summer at Carnegie-Mellon Pre-College Design. This focuses mainly on thumbnailing sketchings of spread layouts, and use of materials such as watercolors in the design of article spreads. At the initial Inquirer meeting for all WISRD members, we collected article topics for me to start some preliminary design work. I categorized articles into either “watercolor,” “image,” or “graphics” or a blend of both. This style of organization helps streamline the design process which was a major hold up last year for publication. I have started mentoring Colin for current Inquirer Design staff and to secure a future of Inquirer Design. I let him go unstructured for the first task, asking him to pick and design an article from the last issue of The Inquirer. Next, I gave him some more freedom to design a front and back cover, an opening spread (for a table of contents and editors note), and finally gave him an old article I wrote for Volume 2 Issue 1 on Artificial Intelligence. This has to lead me to a decision to create a WISRD Certificate of Design. It will require demonstrating proficiency in thumbnails, and showing skills of programs such as illustrator, photoshop, and LucidPress. We’ve had many Board Meetings focusing on various institute goals and helping give some structure to our new sister institute. The weather balloon has started drafting posters for this upcoming WISRD poster presentation and lecture series. 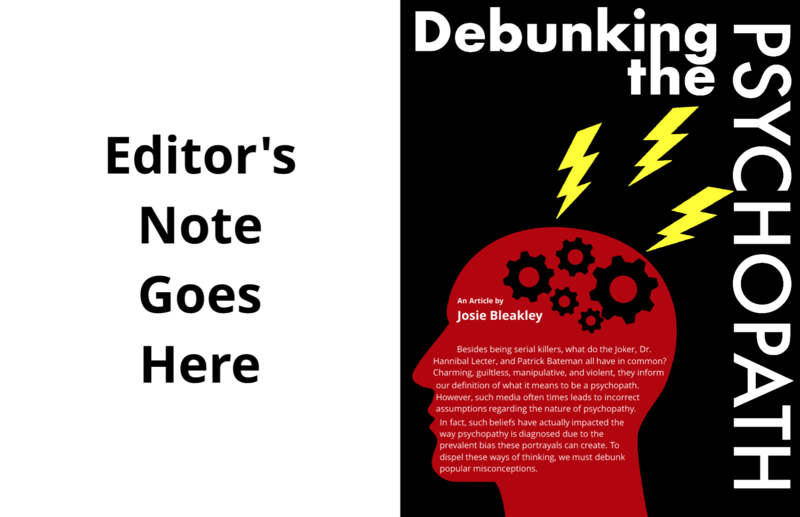 When discussing with COO, Joe mentioned that this weather balloon process is the first example of what is called “big science.” When working with a team of 20+ people, we have to determine who is credited as lead authors, who are contributing and who deserves their place on the paper and poster. This is a really great improvement from the past few years as we are now in a place where these questions are being asked and problems being solved. This last week, in preparation for the upcoming poster session, I sent out a new poster template for WISRD members. Some feedback from Joe last poster session was that they looked too similar, so I decided to change up colors hoping that WISRD members would take a liking to certain designs best. Going back through and preparing my own poster, I found a really quick article (here) concisely defining what makes a good scientific poster. We accomplished a few goals this mornings meeting. We checked in on timeline events, clarifying the use of WISRD and the website, and clarified the goals for each research paper. The launch date of May 19th was also confirmed, leaving May 20th for the back up in the case that rain or weather prevents such a launch from occurring. An in-person meeting was scheduled for this Thursday, March 8th, for the purposes of visiting the institute and planning the build of the Cosmic Ray Detector as well as overlooking the schematics for the build. This morning’s Engage meeting was successful as a rough timeline, build schedule for Cosmic Ray Detector, CosmicWatch. David joined PIs Remy and Aidan and together collaborated on the creation of the timeline. Kevin was unable to make it due to a computer update rendering his computer unavailable for this recent meeting. 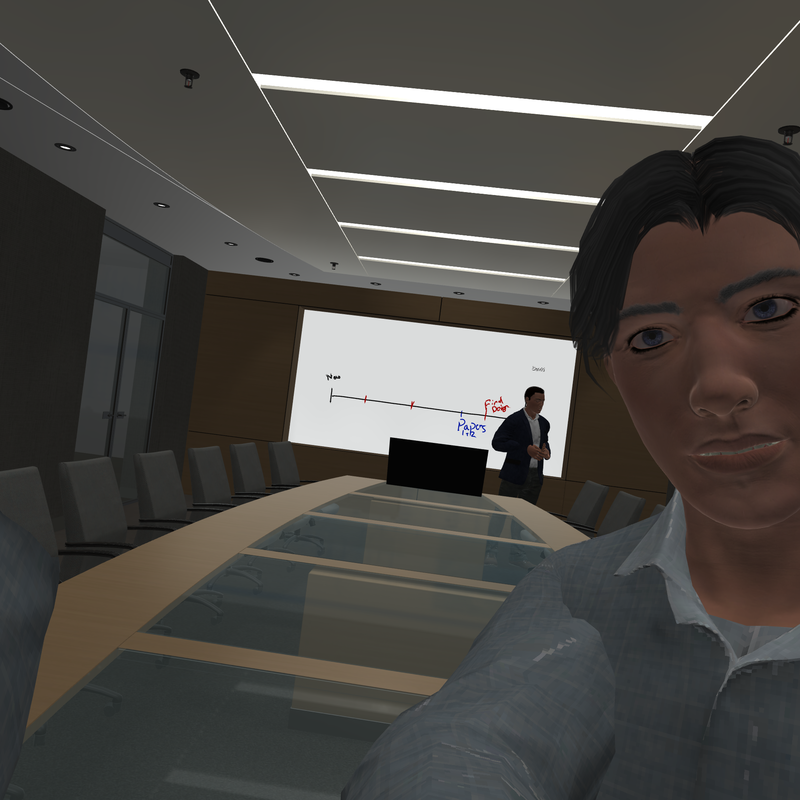 Meeting are becoming much more efficient as the team becomes more familiar with the collaboration in Virtual Reality. I spent much of today touring visitors around the institute. One group of four Wildwood Board Members came to view the institute (and we gave them some of the new magazines) and another tour from the accelerated schools in Los Angeles came as well. With the magazine finally published (the work of which has been taking up most of my WISRD time), I am finally able to prioritize other work. Remy has been really great about keeping on track with the Weather Balloon team and has been managing much of the large-scale work. Next steps for me look like beginning the themes of next magazine’s design, I am hoping to get the next few issues complete way before the established deadline. Today the weather balloon team organized and discussed updates with the VR project and taking a realistic look at progress, difficulties, and goals for the project. What we are dealing with is a significant difference in cultures and dynamics of the workplace. WISRD is unique in the way we are treated as scientific peers rather than students, we need to recognize that it is not always culturally excepted around the world like that. Myles K did some problem-solving regarding the cosmic ray detector (see CosmicWatch). My time is stretched quite thin—I have been working on the Inquirer by testing, re-testing and practicing many programs. 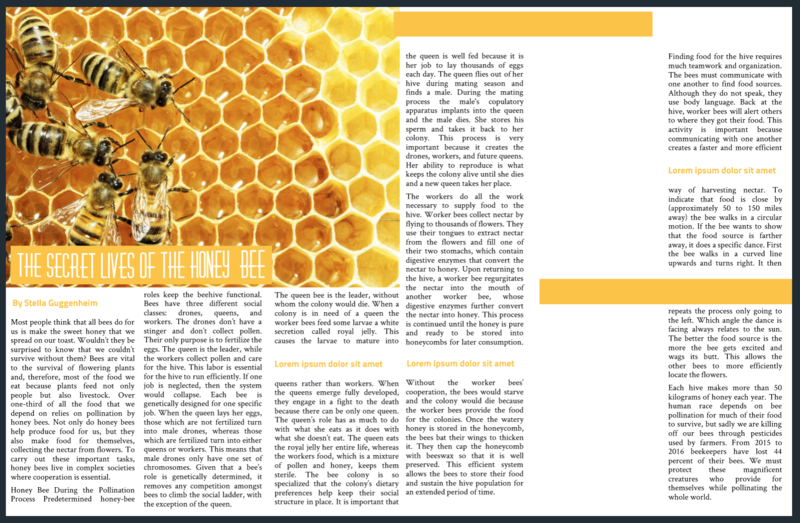 Initially, I was using Adobe InDesign, but after finding difficulties with the collaborative aspects of the program, I decided to move on to the online-based Lucidpress. 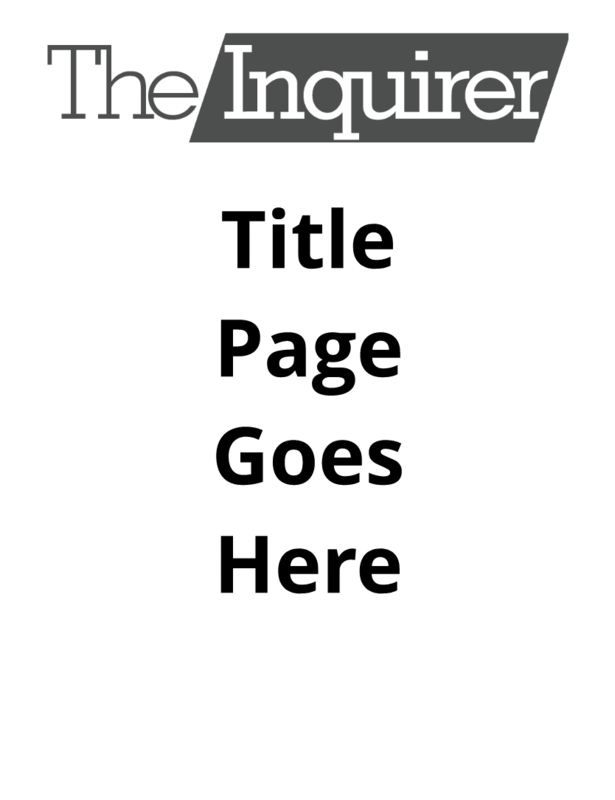 Below is the new logo of The Inquirer and a mock-up of Josie and Stella’s articles from last year my way of testing out the program to find its usability and learn the workarounds. Much of what is seen is designed in illustrator and imported to Lucidpress. This will allow for many designers to be working on the magazine at the same time. A lot has happened the last few weeks. Most significantly, my work as chair of the WISRD Logo/T-Shirt Committee has nearly come to a conclusion. 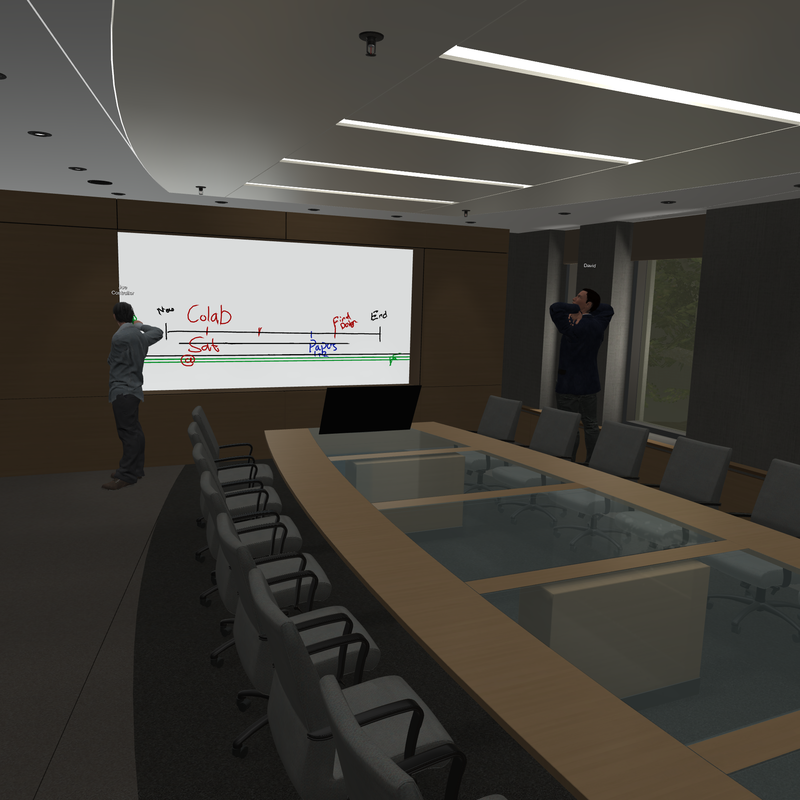 Three weeks ago, I presented my preliminary designs to the WISRD Board (See figure 1 below). I recommended to the board that a committee would be made, Ihsan, Will, and Emily volunteered. I defined the logo, using Adobe Illustrator and had it approved by our main funder, Wildwood. The final design can be seen below (Figure 2). 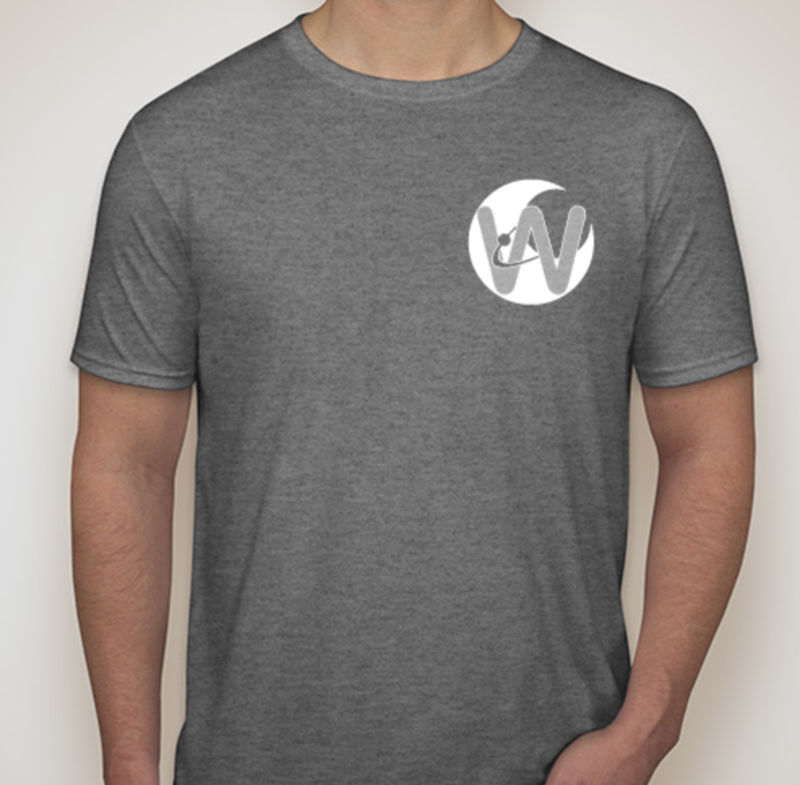 As for t-shirts, the committee decided on a white logo on grey, see below. My next work will focus on preparing the next few years of shirts and colors for down the road. I also will begin my design pitch for the Inquirer’s updated design. In the past three weeks, much has occurred in WISRD, a very good start for the 2017-17 year. We held our first board meeting of the year on October 31st and there we announced upcoming WISRD events such as RECON Star Parties, InnovatED.LA and SMAAC meetings, discussed old matters of last year’s board and scheduled the following board meeting for the Tuesday the 12th. Most notable from the board meeting was the influx of interested WISRD members in taking on board positions. The most notable event, in my opinion, of this week, was the presentation that Ihsan and I made for the SMAAC meeting last night (See image 1). Using the gathered data of from my Canon T6s camera, we graphed out the % Coverage over time while we observed the Eclipse. Using the computer programs Adobe Lightroom and GSP5 (see image 2), we were able to edit, crop, and determine the % Coverage for 61 photographs taken during the eclipse. 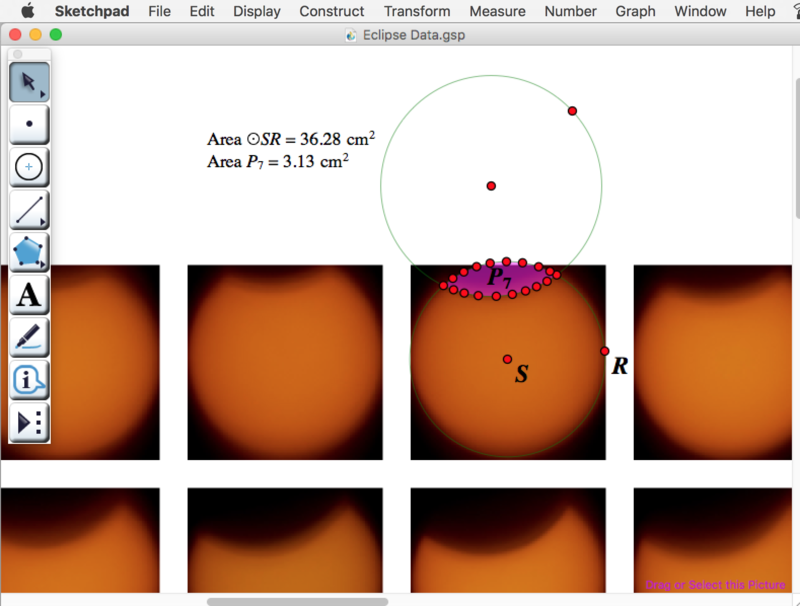 We are almost finished with the WISRD Eclipse report written by our COO J.A. Wise, Ihsan and myself. For the moment, however, all I have to show is the finalized time lapse (see media below). This week I plan to send out an email to the Institute of the upcoming board meeting, as I did for the previous one. As our chair, Josie, has informed me, I will need to run the meeting as she will be unable to attend due to schedule conflicts. I plan to present my proposal for WISRD’s new logo, as well as remind the Institute of the certain task-forces created in the last board meeting. Today marked the first day of the Wildwood School 2017-18 school year and my return to the ATS elective. Not only did we introduce many new members to WISRD today, but we ran 4 separate experiments for the partial solar eclipse that could be viewed in Southern California today. I ran a time-lapse with my camera (Canon Rebel T6s) and Tripod (see image right). 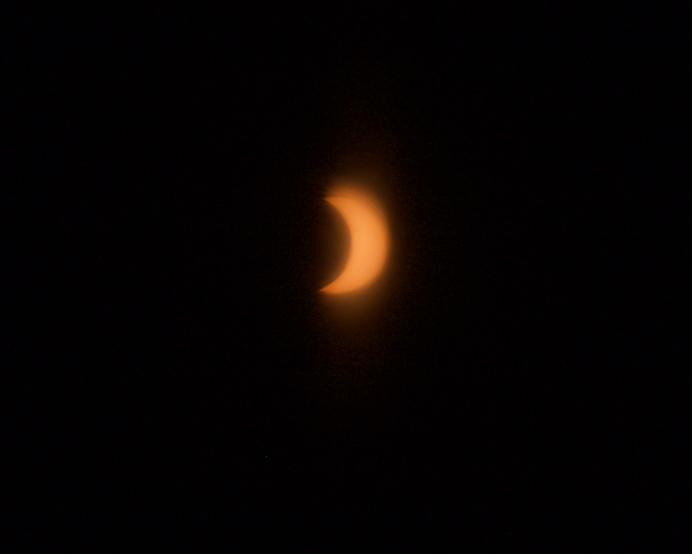 I attached a pair of solar eclipse viewing glasses to my lens as a filter to prevent damage to the camera and to be able to capture an image that would not be blown out by the brightness of the sun. Using the collected images from my experiment, we can visually track the data collected by the other WISRD experiments running. The next steps for my experiment will be to load up the captured images in an editing software such as Adobe Lightroom and edit each image to fit the set. My goal is to use these captured images in a number of ways, both scientifically and artistically. 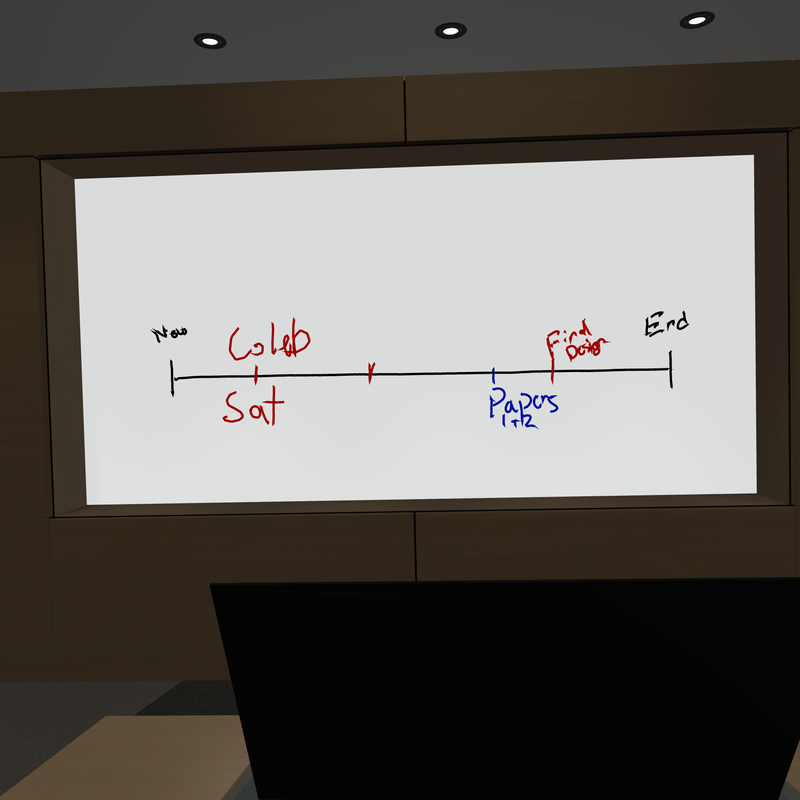 I plan to make a time-lapse with timestamps to mirror to the collected data, I am thinking a video, with the help of Remy from WISRD Media, could be a great way to display the data from the experiments in a fun and engaging way. I will also use the images collected as a submission to the gallery for “Night Sky Over Santa Monica,” as I believe Joe had mentioned another collaboration with SMAAC. For now, all I have to share from today is an un-edited photo from the peak of the eclipse (see left) and excitement for the year to come. Today I fixed the website’s look. After Joe moved it from http to https, all the images have been either replaced with different images or have disappeared entirely. I went through with the images that were saved on our server, and quickly re-uploaded them. My next task is to redesign our WISRD wall with all our posters. 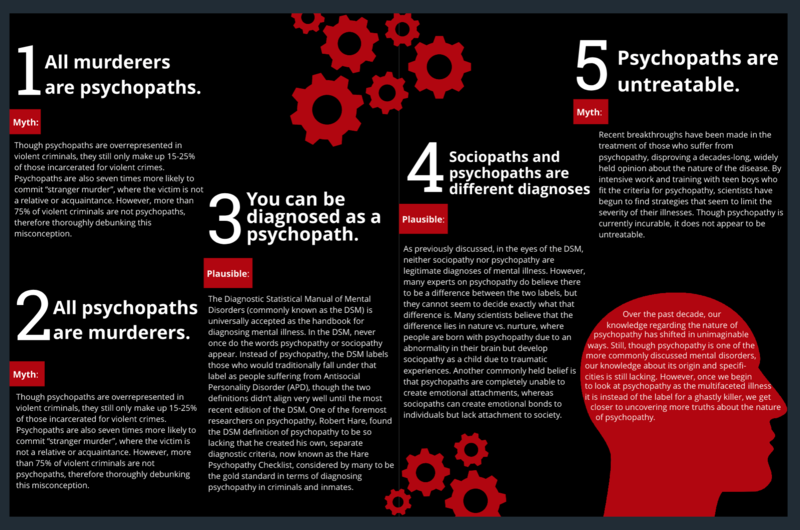 Since the new poster presentation, we have updated research to display. Today at WISRD Stella and I began the process of understanding Radio Waves, the Electromagnetic Spectrum, and so on. We started with a Khan Academy video, (See Here) but when that was not sufficient, I worked with Miana S. on gaining a deeper understanding of Electromagnetism. Miana started by introducing me to Maxwell’s equations, or at least four of them. Since I am not yet in calculous much of the period of our work was devoted to me understanding the basics of derivatives, “cross” and “dot” products in relation to vectors, the use of “dell” as a gradient, and much, much more. 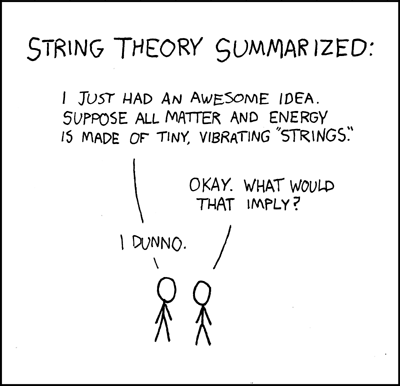 We focused a majority of our time on transferring the characteristics of Maxwell’s equations from the concept of it being in a medium, to it being in a vacuum. This, in turn, allowed us to solve the equation of the constant, C, or the speed of light (3 x 10^8). The most valuable thing that came out of my work with Miana were Maxwell’s final two equations that she helped me break down. These two equations really were the missing link in my understanding of electromagnetism. The final two equations basically talk about how E field and B field, or more simply, how magnetic and electric waves are connected, that it is not electric, not magnetic, but electromagnetic (which may sound intuitive but getting there takes a lot of effort). Miana drew up a few sketches of these last two properties and I think that they will be perfect constructions for Stella and I to bring to reality. I must extend an enormous amount of gratitude to Miana for assisting the learning process today and cannot wait to implement these new skills with my GAVRT research! Until next class. A lot has happened since my last WISRD update. Not only did I draft and sign the WISRD Board Constituting and WISRD Bylaws, become an editor for the WISRD magazine, redesign the entire new WISRD website and finish the Gummy bear project, but a managed to do all of this and more without ever managing (or attempting) to write a single update. I am starting to resign myself to the fact that my WISRD updates are just too long to attempt to do daily, weekly, or even monthly. It is at this moment that I must switch my schedule around! Now, with the new website, more recent videos going up on WISRD’s youtube, and the fully implemented WISRD board coming this week, it is a better time than any to begin a new era of these WISRD updates. I will be attempting daily, yes, daily WISRD updates after WISRD class periods, events (speakers/presentations/trips and the like) and board meetings. I think that while the length of the updates will certainly decrease, the value of this page, especially for my own sake will increase dramatically. With so much going on in school right now, it is hard to sit down in one seat every weekend and go through the work I’ve previously done so now I make my pledge to do a short (15-20 minute) writing session at the end of every WISRD class period to post my update. Although I only need to apologize to myself for setting myself back in terms of recorded work, I must understand my own faults and proceed to improve them for the sake of my own learning, and the institute itself. Until next class. Let me preface this by saying, a lot has happened in the over a month period that I have not given an update. In this post, I will not be able to capture all of what occurred, just snap-shots of more important events, occurrences and actions that have contributed to the Institute. I started my last update by talking about the broken 3D printer project that was put on standstill until a new fan was ordered. The new fan arrived and was promptly attached, tested and immediately after used for a 3-hour print, it is fair to say that this project was adequately addressed and corrected. interested in the institute and explored possibilities of using the abilities of GAVRT for their own classes. At Innovated.LA I was able to talk with parents and their children about Lucy, a subject that many young kids are attracted to. I was able to relay them to the WISRD website, as well as signing up for the magazine and journal. Since the last update Stella and I have started GAVRT. After a brief period of time where the telescope was down, or our timing just did not line up, we were able to start our first scans of the black hole. I think that Stella did a remarkable job her first time, picking up and understanding how the data collection process worked. I’m glad that she joined the research team this year and I can’t see what we are able to do next. One final new project I have taken on and completed since the last update was organization of the WISRD Maker-space. After have to dust out behind the 3D printing station and maneuvering around the nasty pile of wires, one to many times, I gave up and decided to fix it. The mass of wires connecting to the internet and supporting the network were in the same location, jumbled together with the same wires that powered the 3D printers, each monitor and the two computers. It was just too big of a problem to put off any longer. I first started by powering down the network, with the from Simone, Kai and Cameron, we disconnected the ethernet cables, power cables and everything that was stored under the metal shelves. After everything was stripped from the mess of wires, we began to organize the different groups. I made a crude blueprint of my design, I wanted to remove all network related wires from the group and place them above the tools and 3D printers. Using zip-ties, I mounted the power strip that used to be on the floor onto the perforated wall, placing the two routers next to it, only a few inches away. With the help of Simone and Kai, I coiled, bound and labeled all cords connected to the strip. We then became to diligently replace the cords organizing them to run along the ceiling of the maker-space, lined against the metal casing for the power across the wall. This project allowed me to gain new skills for space management and organization as well as a new understanding of how to set up the network. The next steps of this are on Felix and Will’s shoulders as they embark on the organization of the tools and the back board of the maker-space. This week at WISRD was all around the place for me. I was going to start the week off on Tuesday with GAVRT, but due to previously discussed satellite outages, we pushed the meeting to Wednesday. Instead I worked with Gracie on repairing and cleaning one of the MakerBot 3D Printers. Following the guide of MakerBot’s video, we took apart, cleaned, fixed, and reconstructed the left extruder of the printer. Unfortunately, after the reconstruction, the fan of the extruder, broke (see image right). A new fan was ordered but for the time being the printer is out of commission. While the fan is broken, the experience has provided me with an understanding of the mechanics behind the 3D Printer. On Wednesday, to mine and Stella’s dismay, we learned that on Tuesday, during it’s regularly scheduled outage, GAVRT experienced some hardware issues that put our meeting on hold. According to Kelli, there are hard-drives and other hardware components that need to replaced and will result in Stella and I using Telescope DSS-28 next Wednesday for our first meeting. In other news, I worked on maintenance of the 3rd of 4 WISRD 3D Printers, the Ultimaker 2 Extended+ and on deciding the topic of my WISRD Magazine Article. The Ultimaker platform needed to be leveled and have a test print printed. I’m excited to be using the Ultimaker again, not just for it’s ease of use, but because of the quality of the prints. As for my article, I have decided to write a comedic article on the integration of Artificial Intelligence (A.I.) in our modern-day life. I am planning to include the topics of Google Photo’s Assistant, Facebook’s plans for A.I. and other future advances in the technology. I will be posting portions of the drafts as I start to write it. These first two weeks at WISRD have blown by. I have barely had enough time to start scheduling my projects and organizing my plans for this coming year. I have had some time to work out my learning outcomes for the 2016-17 year. They are very similar to those of last year because I hope to improve on what I began last year. My improved learning outcomes for this year are still a work in progress, but for the time being, they should guide my research and work. Gather a group together for WISRD ecommerce, define jobs of WISRD Store, create marketing tools, etc. Work on Developing the WISRD Facebook Page, WISRD Wall, WISRD Twitter, WISRD Instagram etc. Those are my Learning Outcomes so far, as the year continues I may adapt and grow the list but for the most part, this is what will guide my research and learning throughout the year. In other news, GAVRT will be continuing this coming Wednesday. I am happy to continue although my previous partner, Josie will be leaving the GAVRT Team. Luckily another Member, Stella will be joining the research team so all should be fine. I took my first steps in leadership role as I scheduled the coming GAVRT meetings for this year with Kelli Cole, the GAVRT Lead Operator for Lewis Center for Educational Research. There are scheduled Telescope outages for the next three Tuesdays, which are the usual scheduled days, so the first 3 GAVRT meetings will be on Wednesday, then will be moved to the regularly scheduled times. I’ve also been helping some new WISRD Members with deciding projects, research and just what to do. I’ve partnered up with Jackie and Jacob to work on the WISRD Wall. Joe Wise, WISRD COO has negotiated with Wildwood to allow WISRD to use wall space below the Maker-space to announce WISRD News and Upcoming Events. We were also thinking of displaying projects such as a Wooden Clock that Jacob and Remi have been constructing. The best scenario would be to add a JumboTron, or a Large monitor displaying WISRD Events and other interesting occurrences at WISRD. Finally, this will hopefully be the only two-week reflection, sometimes there isn’t enough in one week, or we’ll miss days but most of the time, I suppose, weekly reflections, should be weekly. First week back from Spring Break was quite eventful. Josie and I worked with GAVR T on Monday, acquiring another four scans of our Blackhole, J1800+7828. After, we graphed our data from the course of the school year. We have observed a peak in our scans and now await a drop. This means that the Black hole is variable with its radio output. Once we observe the drop we will have seen a cycle of the Black hole. This information will help us understand the size, distance, and orbiting stars or other galactic objects. In other extraterrestrial news the WISRD Board has received the 12 inch Meade telescope with a grant from SMAAC, the Santa Monica amateur astronomy club. The telescope stood in the Wildwood Art Gallery for a week and was put away in preparation for use in RECON (which I have previously mentioned in weekly updates). Not much as gone on this last few weeks. A lack of work can be credited to the loss of almost all information on my Laptop, the new developments of WISRD’s participation in Wildwood Science night and Josie and my continued participation in GAVRT. I’ve found it increasingly harder and yet more important to keep up with my WISRD weekly reflections and as of now, I have somewhat struggled to meet these updates. I have also struggled with keeping up to date with posts on WISRD’s twitter. It is ok because what is scientific work without a little bit of struggle? I have continued my work with GAVRT although some issues have occurred in recent meetings. A few of these issues have been the interference with power outages at the Lewis Center for Educational Research and the weather interference of heavy rain clouds, which unfortunately, are both unpreventable. become reality, then WISRD is looking to face a MAJOR issue with wasted filament. Of course this is bad for WISRD financially, but also WISRD’s environmental impact will increase dramatically. The goal with new 3D printer recyclers are to benefit both WISRD’s bank, and our effect on the environment. In other news, WISRD’s Weekly Wonders are drawing some excitement from those inside WISRD as Josie and I prepare to launch them in the coming weeks. Hopefully at this week’s board meeting we will received the “all-clear” and begin after Wildwood’s break. Although I only had one effective day this week, with the help of Josie, I accomplished a huge public outreach goal for WISRD. For a few weeks now, WISRD has had possession of an empty wall is the main hall of Wildwood School. The WISRD Board has had trouble coming up with what to use this space for, besides housing our jumbotron. Luckily, from a stroke of genius by Josie and I understood how the space could be used. In a few weeks, WISRD will launch our fun and easy interactive Science labs, formerly known as “WISRD’s Weekly Wonders”. These will be directed mainly towards the students of Wildwood, who will be walking past it for the remainder of the year, but they will also be up on the WISRD Website for those interested in Past and Present “Weekly Wonders”. “WISRD’s Weekly Wonders” could end up looking like a few things. One idea that has arisen is the idea of fun interactive labs, such as “How many rubber bands will it take to cut (or more likely explode) a watermelon in two?” Students would write down, in this case the number of rubber bands, and then at the following all school meeting, Josie and I, or any WISRD member at that point would test the theory and see which person was closest to the correct answer. Other Possibilities would be small engineering challenges like building a bridge out of toothpicks. These would all be great ways to increase the interaction of the Wildwood community with WISRD. Next week Josie and I will be continuing our GAVRT missions. I will need to get some more information from the radio telescope operators about people to refer to, for Josie and I will be writing our research paper on our GAVRT Black Hole readings. This week I worked with Josie on GAVRT, sold yet another WISRD Bot to Wildwood Middle School Director, Craig and test 3D printed more possible products. The WISRD Store is almost complete. With the approval of the WISRD Board, and the critique of the design, layout, and functionality of the page underway I now must direct my attention to approval from the Wildwood directors. Since WISRD is an entity of Wildwood school, any revenue must go through Wildwood School. Joe will arrange a meeting with “the people downstairs” and hopefully get permission to gain revenue as a non-for-profit donation system. If all goes well, the WISRD Store should be up and running within a few weeks! As previously stated, this week I sold another 3D Printed WISRD Bot to Craig, the Wildwood Middle School Director. The Custom print will be Blue and yellow, with a custom name “Lily”. Unfortunately the printers have been preoccupied with a Junior project so printing schedules have been a little hard to maintain. The product should be ready by the end of next week. GAVRT this week was a little interesting. During our usual scans of Nebulae, Radio Galaxies and Black Holes Josie and I experienced electromagnetic interference (see left and right). These interferences occurred because on Monday quite an unusual amount of activity in the area surrounding GAVRT was taking place. Unfortunately Josie and I just had to toss the numbers and start over with the scan. This occurrence is a very rare because GAVRT is in a remote location (Apple Valley) compared to that of Los Angles and is far away from electromagnetic interference of urban communities. This week I learned much about the workings of Website development, programming in HTML, using shortcode in WordPress, updating and applying an eCommerce and a custom CSS plugin to WordPress as well as Digital Design and presenting to a board. With the help of the wonderful wordpress tutorials of Tips and Tricks HQ, I was able to learn how to make a functional eCommerce store for the WISRD Website. Although the WISRD Store is not active currently (due to various reasons), it is in a condition where I can show the progress of my learning. One of the more complex learnings of the week was the WordPress shortcode. Shortcode is a way of programming multiple actions, in a single command. wp_cart_display_product name=”WISRD Shirt” price=”14.49″ thumbnail=”http://wwisrd.org/wp-content/uploads/wisrd-shirt-icon.jpg” description=”Support WISRD! Walk around like you mean it!” var1=”Size|Small|Medium|Large|Extra Large” var2=”Color|WISRD Blue” shipping=”5″, I have compressed all the lines of code into one simple command. The shortcode I used starts of with the product box name, name=’WISRD Shirt’, then the price for the product, price=”14.49″. The next part of the short code is the featured image of the product, or the thumbnail. Next is the description for the product, description=”Support WISRD! Walk around like you mean it!”, this can be anything talking about the use of the product, but for my use, I use it to explain that the proceeds are to support WISRD, almost as a donation, rather than for commercial or otherwise monetary gain. The final portions of the shortcode are the variations and the shipping price. These allow for things like size of the shirt, or color. They are separated by “|” because the shortcode reads it as different sections rather than a character used in regular text. The shipping price is just there for extra expenses on WISRD’s part. Our goal is to share WISRD across the country and that requires shipping the products there as well. Notice in the shortcode how every variable is followed by an “=” then quotations. This is very important in programming because it designates the different sections of the program. All of these components come together to form the product boxes (seen left and right). I also imported a Custom CSS plugin into the WISRD Website that allowed for me to reform the product boxes into the same size and organization. Without the custom css, the product boxes would range in sizes, due to their product image. The CSS, a way of stylizing and displaying the HTML code was able to constrict all the product boxes to the same size. Basically, the css first defines what plugin it is effecting, ” .wp_cart_product_display_box”. Inside that plugin it defines the first variable, the maximum width of the product or “display” box, “max-width: 260px;”. Then it defines the float, of the image and box, and how it is orientated, “float: left;”. The final code of the CSS defines the right margins of each product box. This is basically the padding or how far the objects are from each other, “margin-right: 15px;”. In other news, I presented the WISRD Store to the WISRD Board and it was received with an enormous amount of positive feedback. I will continue to develop it before I take it to the Wildwood people to talk about the legal issues surrounding the selling of WISRD products in relation with Wildwood School terms. Josie and I will be having another GAVRT meeting in the following week. We will ask about the use of this data in relation to applicability to astrophysics. Josie and I will be starting a joint research paper own our blackhole. It will be crucial to understand the readings from the radio telescope in order to write a detailed and informative paper. This week, as January came to an end, Josie and I had our First GAVRT Meeting of 2016 and I also received the money for the first order of the WISRD Bot! In light of a recent issue brought to my attention about the commercial selling of the WISRD Bot, with the help of fellow WISRD Harry, I have the ability to sell, edit and recreate the Blockbot v3.1 based on the Creative Commons – Attribution License. This is a huge step for WISRD and especially for me for the License allows for “remix, transform, and build upon the material for any purpose, even commercially.” (Creative Commons – Attribution License). Meaning, as long as I give proper credit to the original maker, I can sell, edit or advertise any product on the Thingiverse. In other news, in the past week I have started work on an eCommerce page for the WISRD website. I found a great WordPress tutorial by Tips and Tricks HQ that will allow me to set up a WISRD Shop page. The page will be a great source of Revenue for WISRD as well as a simple way to market WISRD. The plugin downloaded from Tips and Tricks HQ allows for payments through PayPal. Although PayPal will take a small fee from every sale, it means that they will be liable for any issues with payments, which would be a huge hassle for anyone at WISRD. I will start to demo other products for the WISRD Shop starting the week of February 1st. Things such as Money Clips, WISRD Keychains, Phone Cases, and other doodads that will be featured on the WISRD Shop should be tested and reviewed by next week. 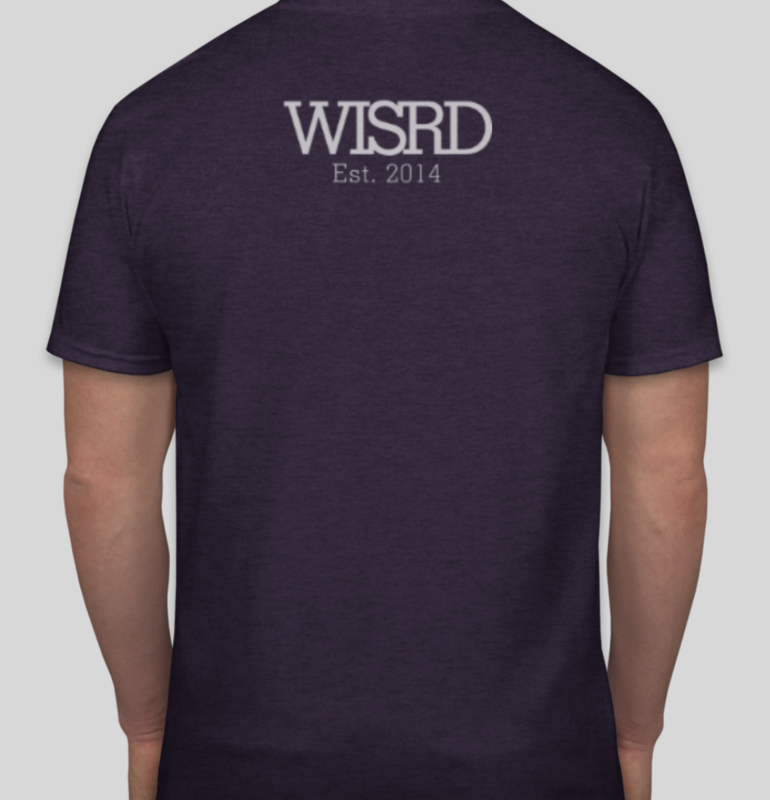 Other plans for the WISRD Store would be WISRD T-Shirts or Hoodies. I’m really excited to see how the WISRD Website will develop in the next month or so. This week I completed working on WISRD’s first sale of our WISRD Bot! Over the course of 3 days, I 3D Printed, Constructed, And Successfully sold a WISRD Bot to the Middle School Director of Wildwood Craig. At the moment the price of one of these toys (pictured right) is around 10$. The price could be more or less depending on what colors, custom names, or other specific features are applied to the sale. Now that the first Sale has successfully accused I have two options to explore next. My first option is to officially announce the product to all of Wildwood School Students, Faculty, and Administrators. This would be a great source of revenue for the WISRD institute and with the Approval of the WISRD Board I would like to start working on that immediately. The announcement of the WISRD Bot could be in many different ways, from a product video, to a Live Demonstration. The Second option is to design a page on the WISRD Website devoted to WISRD Swag, Magazine Subscriptions, Sponsors, Donations, and other sources of Revenue. With approval from both Joe Wise and the WISRD Board I would work on the page. In other news, with the WISRD Website active, I have been formatting and editing pages of the various WISRD Members. I think that many of the Innovators of WISRD don’t properly understand how their Individual Webpages should be formatted. Partly my fault for not explaining the vision of the WISRD Board for the Website, I will give a demonstration next week to formally introduce members to the proper format of Individual pages and the site in all. GAVRT will start again on Monday the 25th. Josie and I will return with the goal of Data Analysis rather than just gathering information. We will begin monitoring the Black Hole and Radio Galaxies that were monitored in 2015. With the information gathered we will hopefully track magnitude, temperature, and distance of the Black Hole. This I week I continued working on the 3D Printers. Unfortunately we’ve had some consistent problems with extruding and building the project. This has prompted me to do two things. The First prompt is that I need to find a way to deal with all of the filament that is being wasted because of the printing problem. I have found two possibilities that I will share with Joe and the WISRD Board. The first is a product that can be bought from www.redetec.com. It is a manufactured machine that grinds and melts plastic into filament. The next possibility is a project to make our own fillament recelcer from www.instructables.com. This would be a great hands on project for those WISRDs interested in machinery and 3D printing. I will talk with Joe next week and then take it to the board for discussion. The Second thing that I need to focus on is repairing the 3D printer and finding a way to reduce the amount of filament needed for printing the product. I will the level the printer this coming week. For the waste of builds I’ll start building the individual parts of the product. This will reduce the time that it takes to print the parts as well as the amount of filament wasted if the print does not complete. This week I worked with the Makerbot Replicator 2X and product design. I downloaded a BlockBot V3.1 from Thingiverse. Then in TinkerCad I edited the model in order to add a WISRD tag. I was able to sell my first “WISRD Bot” with two colors and a custom name for 10$ to Craig, the middle school Director at Wildwood. I’m planning on creating a Product Video to market the WISRD Bots as well as a possible Squarespace Website for easy product selling. I’ve learned how to keep maintenance on the Makerbot Replicators. Important tasks such as preheating, changing filaments, cleaning printing table and many others are jobs that are vital to maintain the quality and ability of the 3D Printers. I have to hold responsibility for the products I sell and for every product I sell I am representing WISRD. I am also going to participate in RECON. With the new twelve inch Reflector telescope that WISRD and SMAAC have come together to use. The collaboration between WISRD and SMAAC is important for RECON. RECON is as their website says, “RECON – the Research and Education Cooperative Occultation Network – is a citizen science research project aimed at exploring the outer solar system.”. As a part of the project WISRD will track Asteroid Occultations to determine the size of these interplanetary objects. GAVRT was shut down so it will resume in one week. These past few weeks I’ve accomplished very much. From talking with Lucien Vattel, director of GameDesk and Educade.org. At Lucien’s lunch lecture I had time to talk about education, the future, GameDesk and so much more. His talk has introduced me to different ideas I am willing to explore. I’ve presented for WISRD at a Wildwood open house. I talked with perspective WISRDs about what WISRD is about. I presented shortly with other WISRDs about what the institute is about. I then led a lesson programming Lucy. I helped the Wildwood Community to understand WISRD’s goal and many students were very excited to join next semester. Josie and I have finished up the GAVRT Project for the remainder of the year. So far this experience has been fascinating. I have the professional experience of operating a thirty-four meter Radio Telescope and discovering my own data on a black hole no one else is observing. We’ve contacted a specialist in the field of astrophysics, specifically black holes. The hope is that with his help, Josie and I, along with the future WISRDs that follow in our footsteps will understand and track this black hole. Writing the spreadsheet has been an interesting experience for me. At some points I realized that for most my outcomes, I wasn’t completing any of what I intended to learn. This is because I made the topics too broad for myself. I’ve been taking some time to revise them, yet again because my expectations for my learning is constantly changing. What first may have started out as 3D Printing and Design, has turned into websites and electronics. I understand more of the direction I want to take with Lucy and GAVRT, which has made me more conscious about my learning. I have been a part of the WISRD Board of Directors and have had a fantastic time planning and discussing with the leaders of WISRD. Right now my title on the board is “Videographer”, although for the most part I have been working on the WISRD website. Progress is still underway on creating forms for weekly reflections. For the future assessments I have changed up my plan of action. I didn’t start my learning outcomes and spreadsheet until the end of the semester, which meant I’ve been cramming in a lot of work into a short period of time. My strategies for going forward are mostly focused on planning out my work and meeting my deadlines. Most of what I do needs to be carefully catalogued and recorded and frankly, I haven’t done much work on that. I will keep the spreadsheet updated throughout the entire year to make work easier on myself towards the end of the semester. These past few weeks I’ve made a lot of progress with both Lucy and my work on the GAVRT Project. Unfortunately, one the Monday that Josie and I were to do our usual GAVRT scans, Josie was sick. I continued the scans and although the conditions were a little windy, we still had good scans that didn’t vary from past scans. Josie and I have continued to input the data into our GAVRT spreadsheet. We’ve been tracking a few stars, radio galaxies, and changes in a Black Hole and Jupiter. As for Lucy, I’ve made some incredible progress both with facial recognition and with communication. I’ve worked on a facial recognition program for a few weeks now and it is finally working. Although Lucy makes mistakes every so often, it’s because the first times she has learned the faces, it was in poor lighting or at a bad angle. I now have a few choices of where I go from here. I can start working on a “good response, bad response” program, or I can start working on a curriculum for GameDesk, the company that allows Lucy to continue to work with WISRD. The “good response bad response” program is a program that will be my introduction to Autonomous Social Interaction. I will program Lucy choose randomly from a spreadsheet of responses and statements. The user will decide whether that is a positive response or negative response, tapping Lucy’s tactile sensors accordingly. This will relate back to the spreadsheet and will be demoted or promoted respectively. The other path I can choose is to work on designing a curriculum for Lucien, the CEO of GameDesk, who will be coming for a lunch lecture on Tuesday. I have a few ideas on a curriculum that will be both fun, and challenging for students working with NAO. It would start of with a “Hello World” program, as with most programs and then progressively get harder and harder. I will be meeting with Lucien later this week and will be talking with him personally about what he wants me to do, and what I may do for him. I have finished inputting my learning outcomes into the Spreadsheet/Rubric for WISRD and have turned that in. I’m very excited to meet with Lucien this week and discuss the future of learning. This week I need to review and revise my learning outcomes with Joe in order to make them applicable to the narratives. I also need to look for examples of problem solving, collaboration, communication, innovation and other skills in my work for the year so far. My goal is to set up a time to discuss with Joe and get to the heart of my project. This Week I worked on my project poster. Artificial Intelligence is an ever changing concept. This ability to create artificial social interaction with robots has been a reality since the early 2000s. We have all seen the evolution of the artificial intelligence before our very eyes. Although it seems that artificial intelligence is the thought of fiction, it is our reality. Essential Question: What can we learn from creating social interaction with Robots? The goal of this project is to prove that Artificial Social Interaction is not the future, but the reality. The future applications of this program are nearly limitless. The program could be implemented in therapy and self-harm programs. It could be used to teach English to people who have trouble learning languages. It could be used to reintroduce veterans or mentally handicapped to society. This is not the future, this is now. This week I spent most of my time preparing with Josie for out poster presentation. We are presenting about GAVRT and the possibilities of working with radio signals in space. I have also been working with Lucy to finally do an announcement for the Wildwood All School Meeting. As for Lucy’s poster, I am still trying to figure out and independent project for her. I assume it will have to do with learning or teaching, or relate back to my Happy Bot Program. This week the Upper School departed to Outdoor Ed. Unfortunately, I didn’t have the opportunity to work much on any projects this week. I did have some time to think and revise my Learning Outcomes for my time at WISRD. I also observed the Cosmos while at Big Bear. While at Big Bear, a member of the Santa Monica Amateur Astronomy Club or SMAAC, brought up a Reflector Telescope. Although I missed when Saturn was in the sky, I did have the opportunity to observe M13. M13 also known as Messier 13, is a globular cluster located in the Hercules constellation. Messier 13 looks like a really bright blob, with stars all around it. What is interesting is that while working with GAVRT, we might have the opportunity to observe signals from M13 and other globular clusters. This week I also had time to revise the learning goals I set at the beginning of the year. The learning goals I set in place are as follows: Astronomy, Entrepreneurial Skills, Motion Capture, 3D Printing, Radio Telescope, NAO Robot, Design and Helping People. As one may tell, there is no other information accompanying the list of outcomes. The learning outcomes are supposed to help craft my projects for the next year at WISRD and at the moment there’s nothing. My first learning outcome is Astronomy. Instead of “Astronomy”, I’m replacing it with, “A basic understanding of the Cosmos: through knowledge of our solar system, the milky way and how humans intend to explore, experiment, and observe the Cosmos”. The second learning outcome I set was “Entrepreneurial Skills”. I think what I was really trying to get at was leadership and presentation skills. Therefore, I am changing the outcome to be “Leadership and Presentation Skills: by taking leadership roles on projects, and volunteering for presentation and WISRD events, an understanding of the necessary skills for leaders will be established”. The next learning outcome that I wrote was “Motion Capture”. I do not understand what I meant when I wrote this some I am removing it from my outcomes. 3D Printing is the next of my learning outcomes. 3D Printing is a broad subject and can be applied in many different ways. The outcome is now “Basic 3D Printing Concepts: By applying aspects of certain projects to 3D Modeling and Printing”. “Radio Telescope” is a very specific project and my learning outcome should really be “Understanding Radio Telescopes: By working with the GAVRT project”. Again, the NAO Robot is a specific project which I am working on at the moment. I am changing the learning outcome to be “Basic Understanding of Robotics and Computer Sciences: By learning Python and Aldebaran’s Choreograph, and working with the NAO Robot”. Design is another very diverse subject that can be used in many different ways. For the moment, I will leave it as Design. The final learning outcome is “helping people”. Hopefully any project that I will do will help people. I will modify the outcome as “An Accomplishment of Helping the Common Good: By teaching, sharing information, collaborating and creating”. There are my updated learning outcomes. This week I worked with Josie on GAVRT. GAVRT also known as the Goldstone Apple Valley Radio Telescope, a 34 meter radio telescope which WISRD has the opportunity to work with and operate. GAVRT was part of the deep space network up until a few years ago. Now we can use GAVRT to observe Jupiter and Black holes. GAVRT works by detecting the radio signals from distant objects. When the antenna on GAVRT detects the radio signals, a receiver and amplifier boost the signal to a measurable level which can be recorded. Although we controlled GAVRT, all that I really did was look and record numbers. The process that Josie and I went through began with gathering a baseline. The baseline is made of 5 recorded numbers, to collect an average. Then the Sensor would cross the observation point, were the numbers would peak. When the sensor detected the highest signals we had our peak. After, we would record another 5 numbers for the second baseline. Although I do not understand the data that we recorded, what was collected can used to tell us a few things. The radio waves could tell us surface temperature. The signals could also tell us about energy created on Jupiter. The radio waves created by Jupiter could also help research scan and observe Jupiter’s 63 known moons. This week I took a break from working on Lucy and turned my attention to other various projects. I first worked with the Van de Graaff machine. For a few weeks now, the Van de Graaff has been under construction. When I noticed that it was finally up and running, I began to help out with an experiment. The second project that I worked on this week was the GAVRT Radio Telescope project, with Josie. Although I am not going to be able to use the Telescope, I did read about it in the manual. Next week Josie and I will talk to one of the Telescope Mechanics and record some data from Jupiter and a black hole. While working on the Van de Graaff machine, I learned a lot about static electricity. The Van de Graaff works by creating static electricity from a rotating belt. As the belt rotates, rogue electrons jump from the belt to a copper brush. The copper brush transfers the electrons to a sphere where experiments can be done. The experiment I worked on was testing the reaction of the rogue electrons when they come into contact with aluminum foil. Small spheres were cut out of the aluminum foil and stacked together on the Van de Graaff. When the power was turned on the electrons on the sphere pushed the foil away making it look like the foil circles were levitating away. This week I continued to work with Lucy. Lucy is an Autonomous NAO Robot programmed by the Aldebaran Choregraphe software. At the moment, I have been developing two separate programs for Lucy over the this past week. The first program I am working on is my “HappyBot” program. The HappyBot program is a program I have been working on for the past two weeks now. The HappyBot program is a fun project I created to test the extent of what I’ve learned about Lucy. The second program I have been working on is more recent, the program is an All School Meeting announcement program. The announcement is my idea to get the Wildwood community more excited about Science. It has been challenging me in many different to come up with complicated solutions to problems that appear simple. I have learned many new features of Choregraphe over the course of this week. While developing the ASM Announcement program. I realized early on that without human-like movements to give Lucy, she just stood there plain a boring. I researched the animation in Choregraphe and found a way to add movements. Although I haven’t gotten the animation to work successfully, I still have a week to create the movements for the announcement. Although I haven’t talked to Joe about it, I am really interested in the Radio Telescope. I’m going to read more about it this week and talk to Josie, who I know is working on the project. It sounds really interesting and I can’t wait to learn more about it! This week I continued to work with with Lucy. Lucy is an Autonomous Programmable NAO Robot designed by Aldebaran Robotics. Lucy runs on Aldebaran Choreograph Software and the programing language Python. Although I haven’t learned Python, I hear that it is a similar language to Java, which I already know how to program. At the moment, I am content with programing using the flowchart-like visual programing style of Choreograph. For the past week I have been working on my “Happy Bot” Program. The Happy Bot program is a program designed to recognize and create a way to make the user happy. I have learned many new skills while developing this program. New features of NAO that I have learned include, conversation choice recognition, using strings to create Human-like conversation, deliberate music and audio generation, facial tracking and more. While developing this program, I realized how to connect this to WISRD and Wildwood. Each week, Wildwood has a All School Meeting, explaining the weeks schedule. I realized the attention that Lucy brings to WISRD is very positive. I brought this up to Joe and Dylan, the head of WISRD. With the support of WISRD, Lucy will be announcing various WISRD events a future all school meetings. While developing and working with Lucy and the Happy Bot program, I have run into some challenges. For the Happy Bot Program to fully work, it requires the user to answer truthfully. When asking for honesty, especially for something regarding emotions, it is rare that someone will answer honestly. I will have to face the issue of tone and facial expressions in order to make the Happy Bot Program actually reliable. Robotics are not the only field of Science that I am interested in. I have been researching Rockets. I am interested in everything from the Propulsion, using common household chemicals, the flight patterns, and aerodynamics. This week in WISRD I worked with the NAO Robot. The NAO Robot, formally known as Lucy is an autonomous programmable humanoid robot created by Aldebaran Robotics. The NAO Robot is programed by the software Choreographe. Earlier in the week I started to teach myself the rudiments of Choreographe. I learned how to program Lucy to say simple phrases, practice motions, and how to dance Tai Chi. The Tai Chi, was just for fun. I have started researching the more complex programs for Choreographe. My first program is now complete. The program is a simple name and face storage system which I can use later for my projects. In the creation of this program I learned a lot about the programing basics and Choreographe. I learned how to create strings and connect them to incoming data, such as a facial identification. I learned how to use speech recognition with if statements to create human-like interaction with Lucy. At the moment, I do not know if I want to work with the NAO Robot for my WISRD project. If I worked with Lucy I would be able to check off many of my Learning outcomes. My learning outcomes are as follows: Astronomy, Entrepreneurial Skills, Understanding Motion Capture, Basic 3D Printing, Radio Telescope Operation, NAO Robot Programming, Design Knowledge and Helping people. opportunities to explore this year. Since these projects are advanced I am a little overwhelmed because I feel I hardly know enough to execute any projects in an acceptable manner.